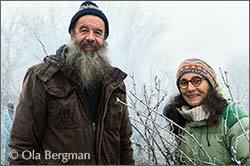 hen Pierrette and Marc Guillemot first started out at Domaine Guillemot-Michel their goal was to bottle their own wine. As a side effect the domaine was converted entirely to biodynamic farming practices. – We wanted to put the best possible wine in the bottles, explains Pierrette Guillemot. To do that you need as good grapes as possible, which in turn requires healthy soil and vines. That led us up the organic path and when we started looking at certification we discovered biodynamism. You’ll find Domaine Guillemot-Michel in Quintaine, a hamlet right in the middle of the Viré-Clessé appellation, about halfway between the two villages of Viré and Clessé. 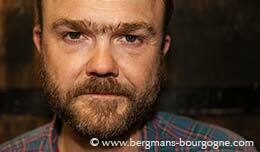 This is southern Burgundy, the Mâconnais. Among the village appellations of the Mâconnais Viré-Clessé is the odd one. While all the others are grouped together at the southern end of the Mâconnais, on the border to the Beaujolais, Viré-Clessé is a satellite about half an hour north of the town of Mâcon. – In the Mâconnais you have clay and limestone soil, says Pierrette Guillemot. Around here in Quintaine the bedrock is an excellent type of limestone. The soil is completely decarbonated. In fact, we have absolutely no active limestone content in the soil. It is a type of soil which is very well suited for biodynamic farming. But it is also delicate. It easily becomes too compact, for instance after a heavy rain or a wet winter. She arrived at the domaine in 1982 to work with her parents. Three years later she and her husband took over the domaine. 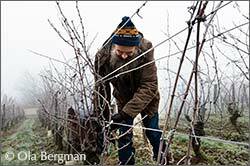 – The vineyards come from my parents and my grandparents. It was they who planted the vines. Over the years it has changed a lot. 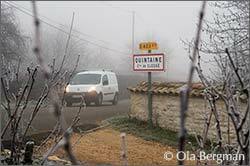 The Mâconnais is a region where people used to have some vineyards, in combination with other sources of income. There was a quarry. Polyculture was dominating. There was a bit of everything at the domaine. Not at all what it is like today. At the time the domaine covered five hectares. 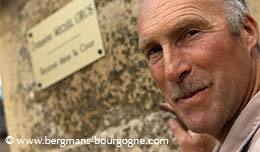 Today Domaine Guillemot-Michel has grown to six and a half hectares. The absolute majority of the grapes from these vineyards, all located within a 500-metre range from the winery, goes into one single cuvée – the Viré-Clessé, Quintaine. – We did not want to expand just for the sake of it, says Pierrette Guillemot. Instead we have been trying to find parcels suited for biodynamic farming. When you are organic you want large parcels in order to limit the areas where you have conventionally farmed vineyards next to you. 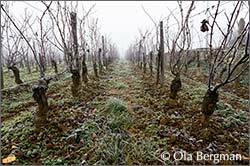 They decided to focus on one major cuvée of Viré-Clessé because of the homogeneity of the terroir. There are minor differences, but not enough to justify separate cuvées. The parcel at the bottom of the garden produces a wine which is very similar to the wine in bottle. Le Chêne, a parcel further east, is more closed on the nose and richer on the palate. The parcels along the road bring freshness. The wine from there is more perfumed on the nose, but has less power. – All in all you find the same kind of aromas in all parcels. Quintaine is really only one single terroir. Apart from the Quintaine cuvée there are a few more bottlings at Domaine Guillemot-Michel, but all in very limited quantities. There is the sparkling Une Bulle as well as Charleston, a Viré-Clessé from very old vines. 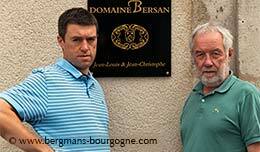 And there are the spirits – one Marc de Bourgogne and one Fine de Bourgogne. – When our daughter Sophie joined us in 2013 she wanted to bring something new to the domaine, something that is hers. So we bought two stills in order to be able to distill at the domaine. Our first Marc de Bourgogne was available in 2015 and the first Fine de Bourgogne in 2017. Une Bulle is a sparkling wine made entirely from chardonnay grapes. The grapes come from a parcel in the Mâcon-Villages appellation, but since it is a sparkling wine made by old-fashioned methods, méthode ancestrale, it only qualifies as a table wine. 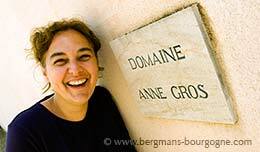 – When you are an oenologist you want to do other things as well, not only one wine, smiles Pierrette Guillemot. 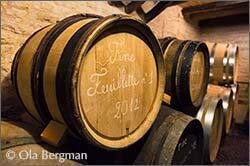 The méthode ancestrale means that the fermentation begins in tank and finishes in bottle. When you make champagne or crémant you make a still wine in tank. Then you add sugar and yeast in order to make it sparkling. The méthode ancestrale allows you to pick ripe grapes. You will have less acidity and more aromas in the wine. 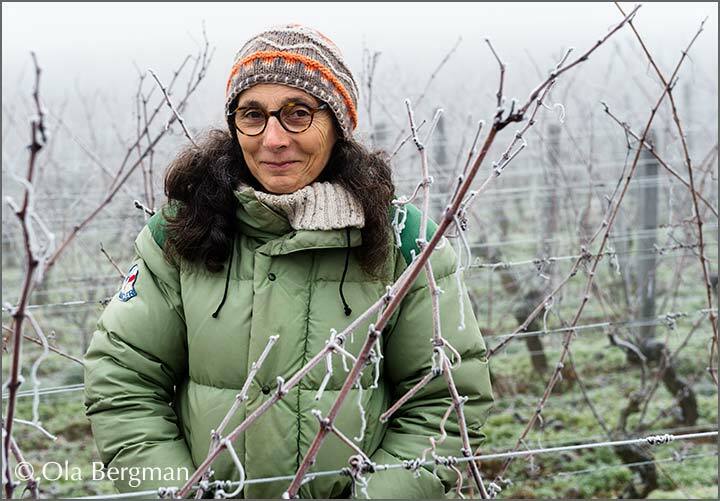 By going biodynamic Pierrette Guillemot feels that their wines have gained in quality. When they did a vertical tasting of 30 vintages in 2015 she noted that the conversion to biodynamic had produced wines with more finesse and power. – The wines from before the conversion were good, but less good, she says. Now the wines express the terroir better. The combination of old vines and biodynamic farming really makes a difference. 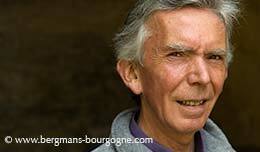 At Domaine Guillemot-Michel the philosophy stresses the importance of as little intervention as possible. The winemaker should not leave his or her mark on the wines. – If you bring in ripe, healthy grapes there is no need to intervene afterwards, says Pierrette Guillemot. We use small cases to bring in the grapes and we press lightly using a pneumatic press. There is a débourbage and the wine is put in concrete vats. We use natural yeasts and sometimes the fermentation starts immediately, sometimes after a week. Then we just keep a close eye on the wine. There is no batonnage and the wine stays on its lees until bottling.